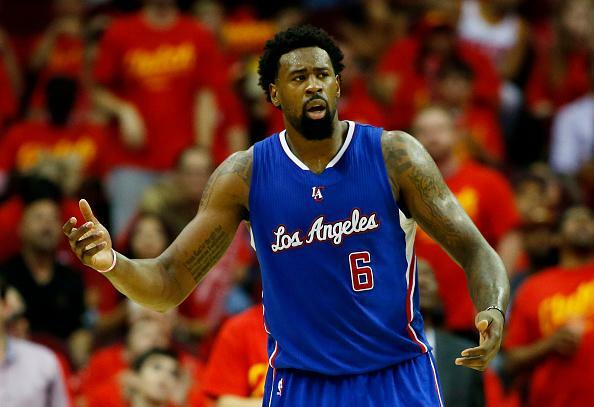 The Dallas Mavericks and DeAndre Jordan agreed on a deal in free agency, but the Los Angeles Clippers haven’t given up on their (former?) center, having one more day to try and convince him to re-sign with them. Jordan signed a four-year deal worth $80 million with the Mavericks, leaving a lot of money on the table and also one year which the Clippers can offer him. Right choice or wrong choice, it doesn’t matter. Jordan, as unlikely as it seems, still has the option of turning back and staying with the Clippers. Turns out you can back out of this agreement, as players aren’t allowed to sign new contracts with teams before July 9, leaving the Clippers with very little time. Hedo Turkoglu agreed to a deal with the Portland Trail Blazers in 2009 before backing out and instead signing with the Toronto Raptors. Dwight Howard did something similar by exercising his player option with the Orlando Magic in 2012 and then demanding a trade, sending him to the Los Angeles Lakers. Will Jordan do it? Reports suggest he is torn about the decision he made, unsure about the choice. The Clippers feel as if they didn’t get a proper chance to recruit him back on the team, and never realized he wanted a bigger role. It’s weird that a player that’s been on the team for so long hasn’t been able to convey that kind of message to his teammates, coach and general manager (same person), but the Clippers are getting another meeting, which will include Doc Rivers, Steve Ballmer, Blake Griffin and probably Chris Paul. Griffin is allegedly cutting his vacation in Hawai’i (from the picture he doesn’t seem to be in a hurry) short in order to try and convince Jordan, who he spoke to on the phone before the center came to terms with the Mavericks. Paul, cited as a big reason in Jordan’s decision to leave the team, is probably vital to the last minute pitch. Maybe this is all some news frenzy someone cooked up to keep things interesting as the big names have disappeared with most teams concluding their free agency business and the dry spell of summer League reports and obscure rumors come in, until the preseason begins. But perhaps we’re going to see one of the more dramatic free agency U-turns in NBA history, which will leave the Dallas Mavericks, who were very aggressive in recruiting Jordan, with a very big need to fill.